Dilruba Çatalbaş Ürper and Tolga Çevikel, " Editorial Policies, Journalistic Output and Reader Comments: A comparison of mainstream online newspapers in Turkey", Journalism Studies, 10.1080/1461670X.2014.969491, , (2014). Dilruba Çatalbaş Ürper and Tolga Çevikel, "Reader comments on mainstream online newspapers in Turkey: Perceptions of web editors and moderators", Communications:The European Journal of Communication Research, 39:4, 483–503, (2014). Dilruba Çatalbaş Ürper, "Rival discourses on the ‘war on terror’: Afghanistan and Iraq wars in the opinion columns of liberal and Islamist newspapers in Turkey", Global Media and Communication, 7:3, 275-279, (2011). Dilruba Çatalbaş, "Divided and Confused:The reporting of the first two weeks of the war in Iraq on Turkish television channels", TBSjournal, 10, Spring-Summer, (2003). 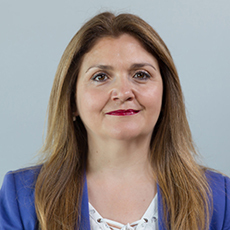 Dilruba Çatalbaş, "Glocalization- a case History: Commercial Partnerships and Cooperation between Turkish and American Satellite Broadcasters", TBSjournal, 10, Spring-Summer, (2003). Dilruba Çatalbaş , "Savaşı Aktarmak ve Anlamlandırmak: Gazeteciliğin Profesyonel Değerleri ve Yaygın Medyanın Tutumu", Doğu-Batı, 25, , (2003). Dilruba Çatalbaş, "Civic Journalism: A New Form of Manipulation or a Way Forward for Democracy? ", Uluslararası İletişim Sempozyumu, , , (2001). Dilruba Çatalbaş, "Radyo ve Televizyon Yayınlarının Düzenlenmesi ve Kamu Hizmeti Kavramı: Britanya Yayıncılık Modeli ve Düşündürdükleri", Bizim Gazete, Temmuz, , (2000). Dilruba Çatalbaş Ürper, "Freedom of Press and Broadcasting in Zehra Arat (ed) Human Rights Policies and Practices in Turkey", Zehra Arat (ed) Human Rights Policies and Practices in Turkey, Pennsylvania University Press, , (2007). Dilruba Çatalbaş, "The 2003 War in Iraq and Perspectives on Turkish media", Ralph D. Berenger (ed) Global Media Go to War, , 121-130, (2004). Dilruba Çatalbaş, "Türkiye’de Kamu Hizmeti Yayıncılığının Açmazları ve Geleceği", Nilgün Gürkan (ed) Türkiye’de Kitle İletişimi, Turhan Kitabevi, 77-96, (2004). Dilruba Çatalbaş, "Broadcasting Deregulation in Turkey: Uniformity Within Diversity", James Curran (ed) Media Organisations in Society, Arnold, 126-148, (2000). Dilruba Çatalbaş Ürper , "Public Service Media, Foreign Policy and Public Diplomacy: Transnationalization of Turkish Public Broadcaster, TRT in the 2000s", RIPE@2014, , (2014). Dilruba Çatalbaş Ürper , "Globalization of Music Industry, Youth Music Cultures and Media in Turkey", Colloque International et Interdisciplinaire: Jeunes Adultes et Circulations des Biens Culturels, , (2014). Dilruba Çatalbaş Ürper , "Globalization and Cosmopolitanism versus Nationalism and Islamism: Changes in Music Industry and Youth Music Cultures in Turkey in the 2000s", Seminaire International sur Pratiques Culturelles des Jeunes et Mouvements Sociaux dans la Méditerranée: Une nouvelle ére, , (2014). Dilruba Çatalbaş Ürper, "Türkiye’de İnternet gazetelerinde Yaş ve Cinsiyet Ayrımcılığı", 9. Galatasaray Avrupa Günleri: Avrupa’da ve Türkiye’de Toplumsal Cinsiyet, , (2011). Dilruba Çatalbaş, "Whether and to What Extent Should Internet be Shaped As Public Service? ", International Conference: Ethics in Communication, , (2004).